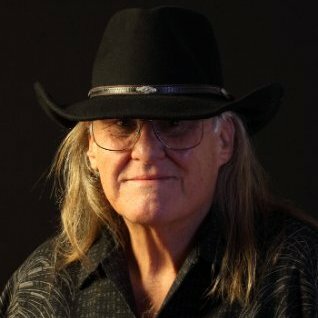 Ken Arnopole has been a Professional Photography since 1968 and his extensive expertise includes commercial photography, political campaigns, fashion and model shoots, and documentaries. Ken Arnopole worked with Peter and Alice Gowland. Peter Gowland was considered the "Father of Glamour Photography". Attended West Coast School of Photography and studied Architectural Work under Wayne Tom and Fred English for Portrait Photography and Dramatic Lighting Effects, as well as mastering product and commercial photography using view cameras to correct distortion and paint dramatic effects with light. Specialized in Political Campaign Photography for the Democratic National Party Sacramento, including campaigns for March Fong, Bob Muretti, Dave Mason, Bob Matzui, Ed Zberg, and Vic Fassio, as well as Advertising Agencies, and Architectural work for Jack London Architects and Alan Oshima Architects. Specializing currently in Commercial Photography and Video Production, including Product, Portrait, and Landscape Photography. Recently worked with Dean Sensui, Hawaii Goes Fishing Video Productions, David Abbott and Danny Kirsic /Tred Barta Show, Big Island Archery Club, and Aloha Candy Co.. Ken Arnopole is also a Certified Guide with Hawaii Volcanoes National Park, carries a Commercial Use Permit for Commercial Photography in Hawaii Volcanoes National Park and is the Executive Producer of Miss Suntan Hawaii 2013. Executive Producer Miss Suntan Hawaii 2013, Commercial Photography & Video Production, TV Commercials, Hawaii Stock Photography, Product Photography, Political Campaign Photography, Model Photography, Travel Photography, Hawaiian Islands Photography, Guided Photo Tours in Hawaii, Photography Workshops, and Event / Conference Photography.